Ive mentioned before in a previous recipe blog that I adore Greek food, I could literally eat it all day everyday. 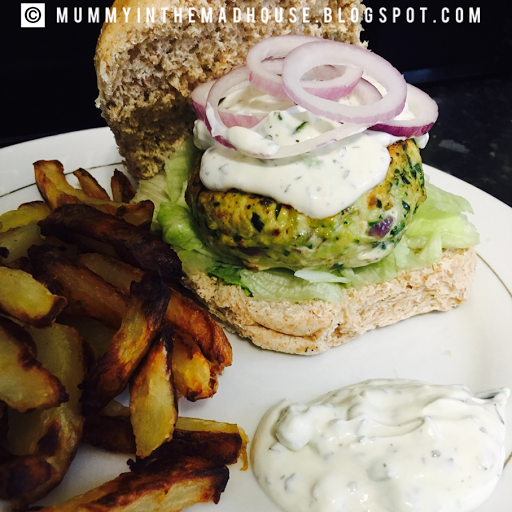 I just can't seem to get enough of Mediterranean flavours, these burgers were perfect to curb my carb cravings. These were also a massive hit with my children & MR.B, definitely a meal for all the family to enjoy. With about 20 minutes preparation time & 15 minutes cooking time, makes a quick but healthy meal. Turkey Burgers made with the Greek flavours of garlic, oregano, spinach, sun-dried tomatoes & feta cheese are a healthful option for burger lovers everywhere. In a large bowl, add the ground turkey, spinach, sun-dried tomatoes, red onion & feta. In a small bowl, whisk together the egg, garlic, olive oil, dried oregano & the Salt & Pepper. Pour over the turkey mixture & mix with your hands until combined. Divide the mixture into 4 portions & mould into patties. Place on a plate & refrigerate for 30 minutes. Prepare the Tzatziki sauce, grate the cucumber then place in a paper towel & press the water out. Place in a medium bowl, add the yoghurt, garlic, red wine vinegar, fresh dill & the salt & pepper. Mix well & refrigerate for 30 minutes. Heat a non-stick grill pan over a medium heat & spray well with fry-light. Cook the turkey burgers for about 5-7 minutes each side, until cooked through. 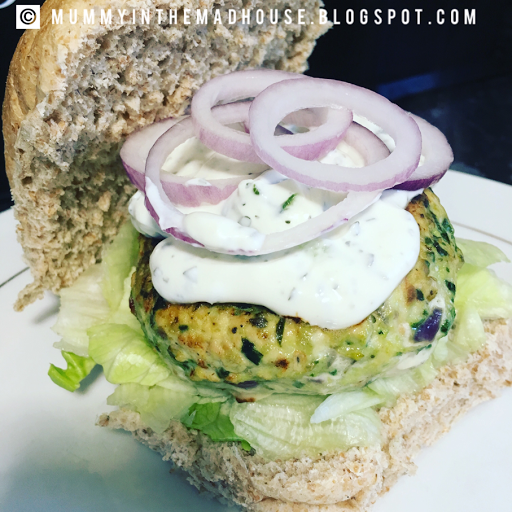 Slather buns with Tzatziki Sauce & garnish with lettuce leaves & slices of red onion.